What a wonderful quilt you made with the help of the Nurture Circle!!! 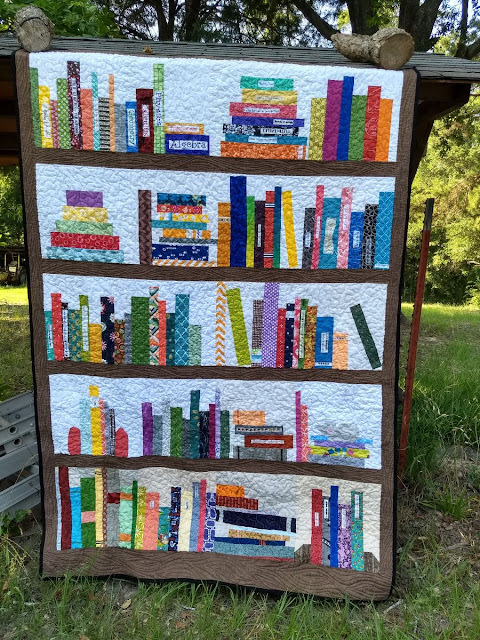 Being a retired first grade teacher and knowing how important reading is, I love this quilt! Truly amazing and it's great that you were able to swing this as a group project. You never cease to amaze me with your creativity and energy. Would you ever do this one as a CIL monthly block? Could it work for that? Thanks for sharing this whimsical and fun quilt. P.S. The wood grain quilting is perfection!! Oh. My. Goodness! 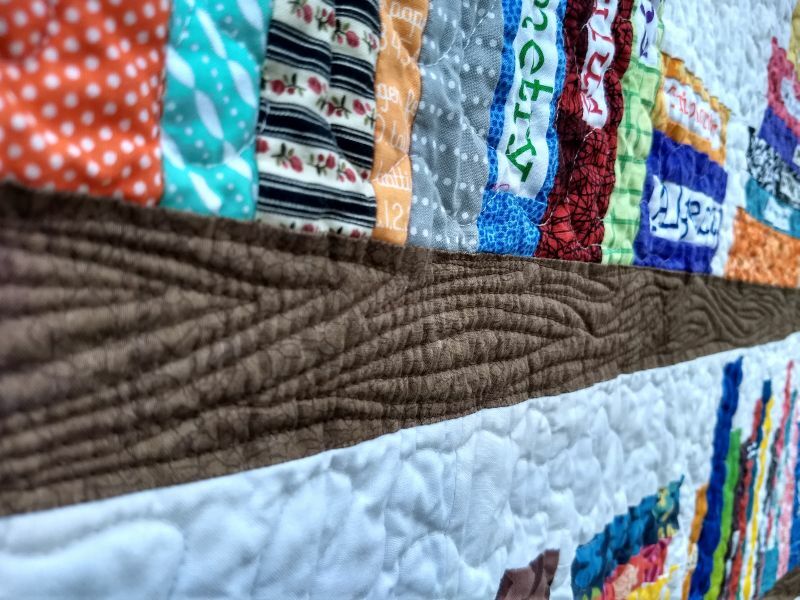 This quilt is awesome, Kat! Wow!! This is amazing. It always surprises me to see such a cohesive finish when the blocks are made by different people. It is just beautiful. Terrific quilt. I missed the kitty until I read Louise's comment. I love how you quilted in the wood grain look. 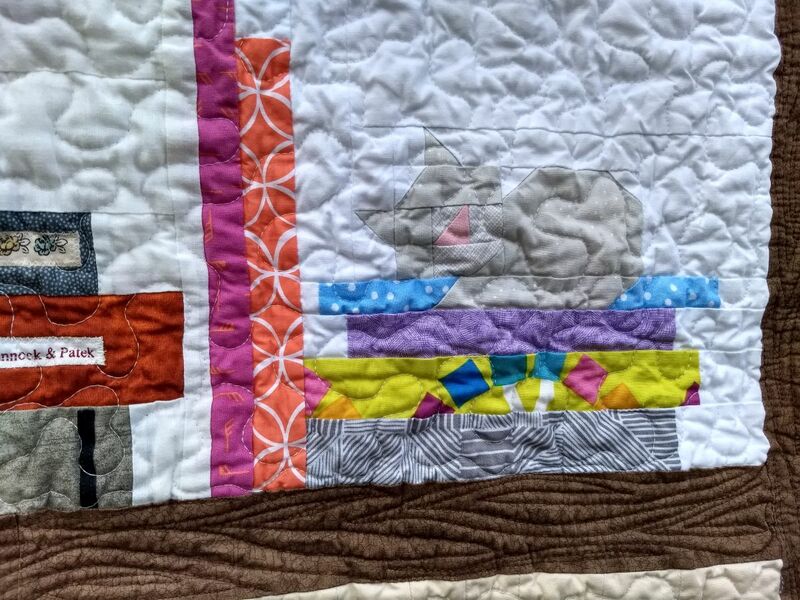 Very cute quilt!! Sew cute with the book titles. 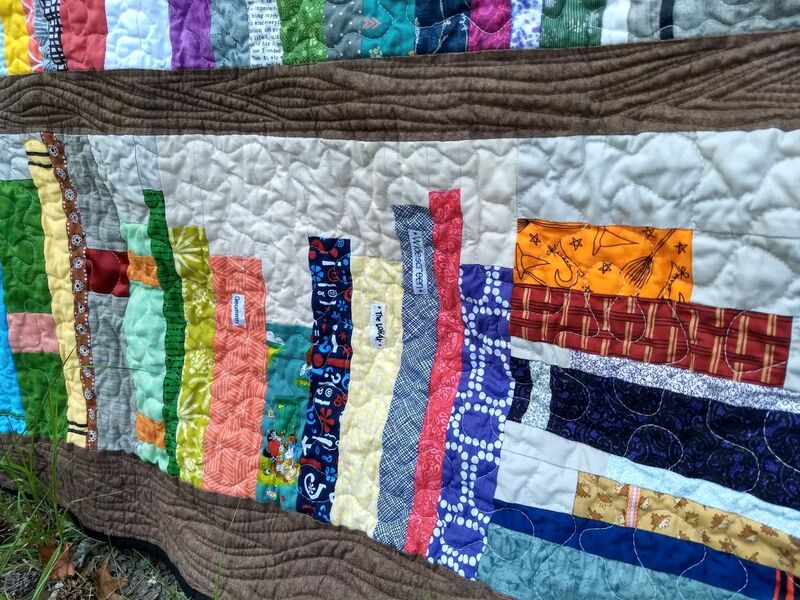 That's one quilt I would have a very hard time parting with! It's delightful! Fabulous quilt! I would be fun to make and fun to cuddle inside. That is wonderful! I love how those bookshelf quilts turn out - someone you give it to is going to receive great comfort from it! 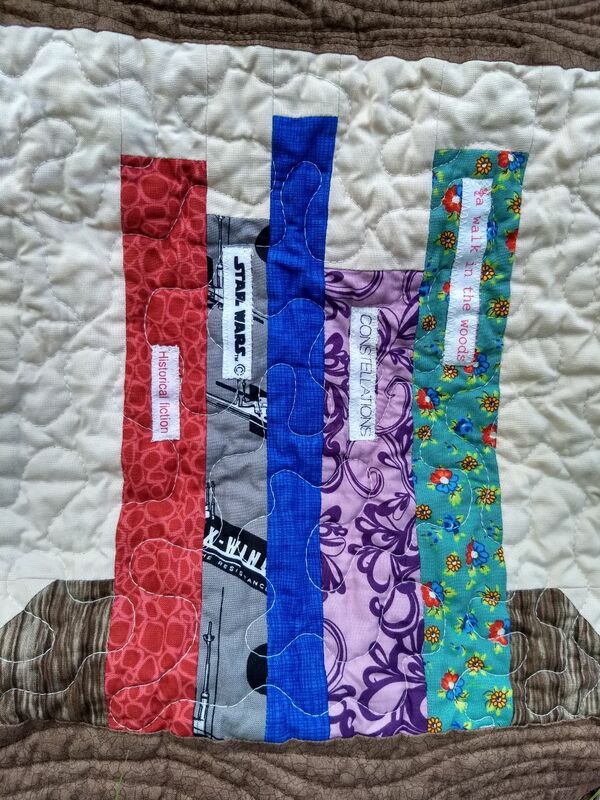 What a great quilt for a man or woman. 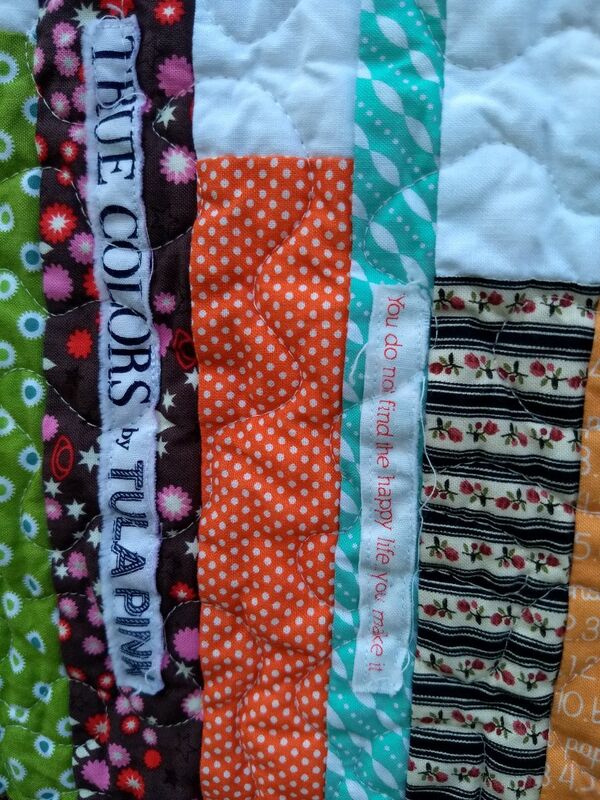 This will be a very nice comfort quilt for someone. It's always amazing to me how so many people can put effort into one quilt & it all comes together as if it were totally planned by one person. 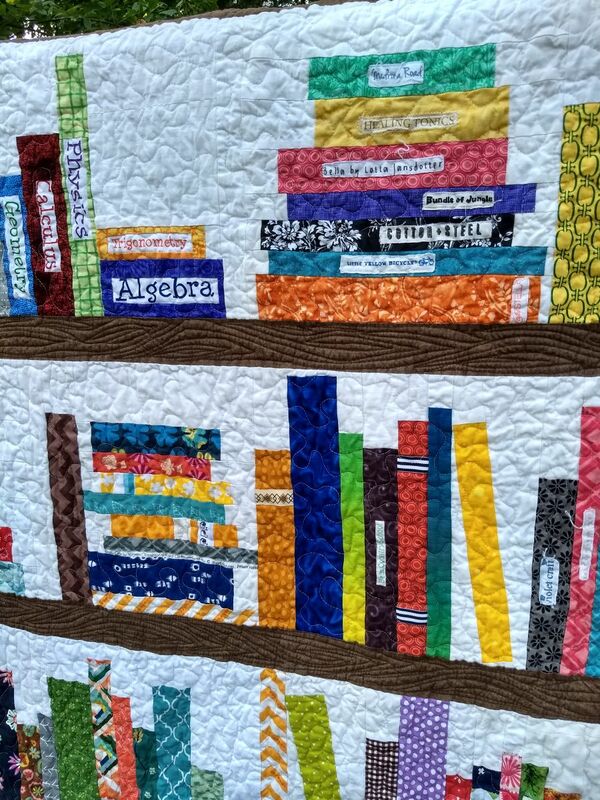 I love your wood grain quilting & love the cute cat curled up on the books.